This is the first in a series of articles about the Sega NAOMI system. Later posts will cover the hardware (I just love taking things apart :P), connecting the NAOMI to JAMMA cabinets, setting up the NAOMI with a GD-ROM and netbooting (loading games from a server). The Sega NAOMI (New Arcade Operation Machine Idea), first shown at JAMMA in September 1998, is the successor to the Sega Model 3 platform. It’s based on the same hardware components as the Dreamcast game console. 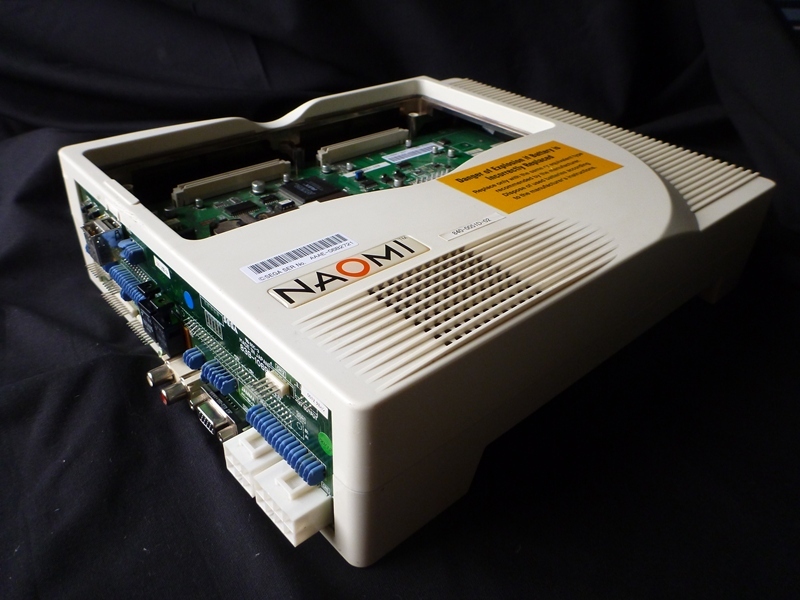 Though the NAOMI has twice the amount of system memory and video memory and four times as much sound memory as the Dreamcast. Multiple units can be linked to improve graphics performance or to support multiple monitors. The NAOMI Universal Cabinet was developed specifically for the NAOMI system and can house up to 16 units. Another key difference between the NAOMI and the Dreamcast is how the game media is handled. The Dreamcast streams the data from the GD-ROM while the NAOMI arcade boards features 168 MB of solid state ROM or GD-ROM’s using a DIMM board and a GD-ROM reader. The contents of the disc is downloaded onto the DIMM board’s RAM on start up. Once the disc has been read the game is run from the RAM for better performance and reducing the mechanical wear on the GD-ROM reader. Even if the system is turned off the game will load from the RAM when powered on again. Only if the game data in the RAM gets corrupted of if the system’s been powered off for about 72 hours the game will again have to be read from the GD-ROM. Unlike Sega’s previous arcade platforms the NAOMI was widely licensed for use by other game publishers. Besides Sega about 20 companies has produced titles for the NAOMI system including Capcom, Namco Bandai, Tecmo, Cave, Sammy, SNK, Jaleco and Koei. 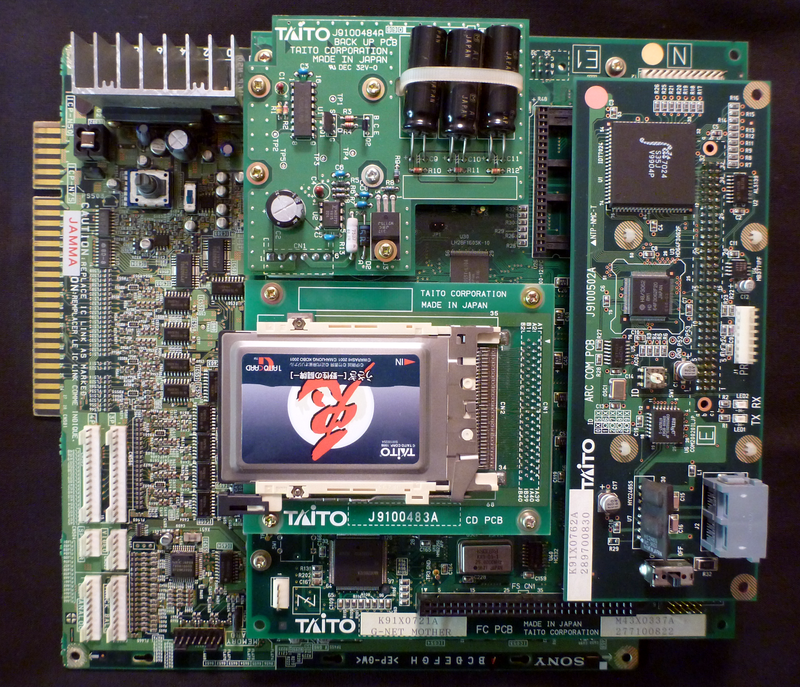 Taito launched their G-Net system (based on Sony’s PlayStation hardware) the same year as the NAOMI and, as Sega, tried to license it widely to developers. While the NAOMI became a huge success the G-Net never really made it and only some 20+ titles were ever released for the G-Net. The NAOMI uses the newer JAMMA Video Standard (JVS) for I/O. The JVS uses a USB A port for inputs and VGA for video output. The NAOMI is able to output graphics in VGA and CGA resolutions. 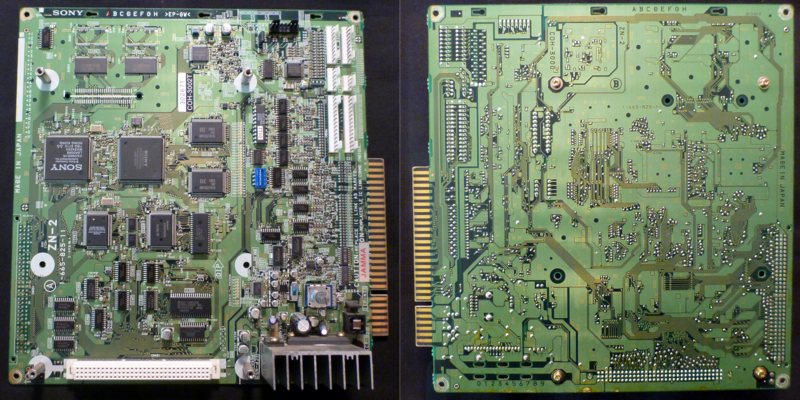 There are three different I/O boards available for interfacing the NAOMI with JAMMA setups. 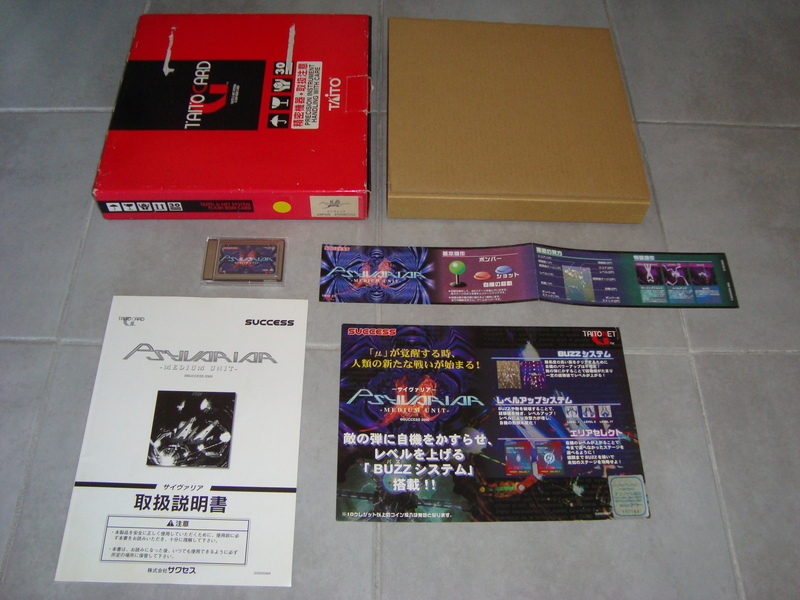 Two were manufactured by Sega and another from Capcom. The Capcom JVS/JAMMA converter is preferable since it offers a voltage converter for the needed 3.3 V line, and audio amplifier with volume control, the JAMMA connector and a JAMMA+ kick harness compatible with CPS2 and CPS3 games. The Atomiswave system from Sammy is based on NAOMI hardware. Theoritically a 16 board NAOMI system could do (16 x 3.5 mpps) = 56 million polygons/second. In reality it won’t manage more than around 20 to 30 mpps. Naomi is a Japanese female name that translates to “above all beauty”. Additional Features Bump Mapping, Fog, Alpha-Bending (transparency), Mip Mapping (polygon-texture auto switch), Tri-Linear Filtering, Anti-Aliasing, Environment Mapping, and Specular Effect. The Taito G-Net system was released in 1998 and is based on Sony PlayStation hardware. It’s a cartridge based system and uses PCMCIA II cards for the games. The G-Net is contemporary with Sega’s NAOMI and Taito tried hard to get developers to ditch NAOMI and move to the G-Net platform instead. Considering the vast number of games released for the NAOMI it’s fair to say that Taito didn’t succeed in their quest. There are only 22 known games released for the platform which makes the G-Net a quite niche system to collect. 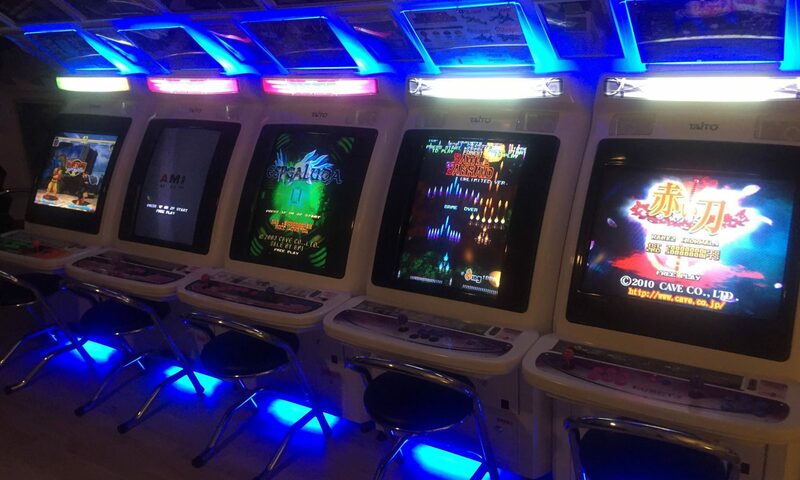 Nonetheless the G-Net boasts with a few major titles, like Psyvariar, Ray Crisis and Super Puzzle Bobble. The games are distributed on PCMCIA II cards and any game settings and saves are stored back to the cards. 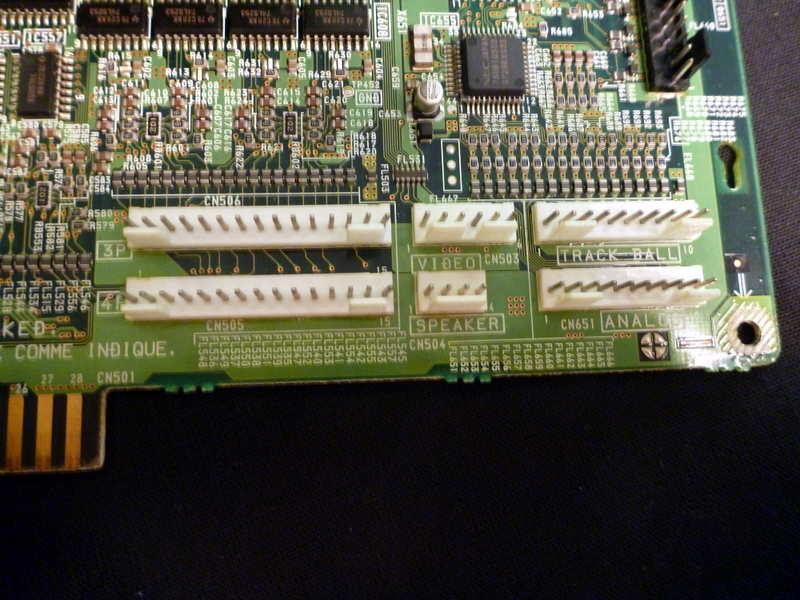 The cards are inserted in the card connector on the CD PCB and a game card has to be inserted for the system to boot. Most games can be found rather cheap both with and without artwork on for instance Yahoo JP. Most games can be picked up quite cheap (< $100) but there are a handful that fetch higher prices, like Psyvariar and Ray Crisis. Complete kits (including the box) on the other hand are hard to come by and will usually set you back way more. The Sony ZN-2 is based on the Sony PlayStation architecture and was licensed as an arcade platform to other developers, such as Capcom and Taito. It conforms to the JAMMA+ standard and while most games use standard resolution (15 kHz) some games use 24.8 kHz (mid res) refresh rates. Thus requiring a dual sync monitor if it is to be used in an arcade cabinet. 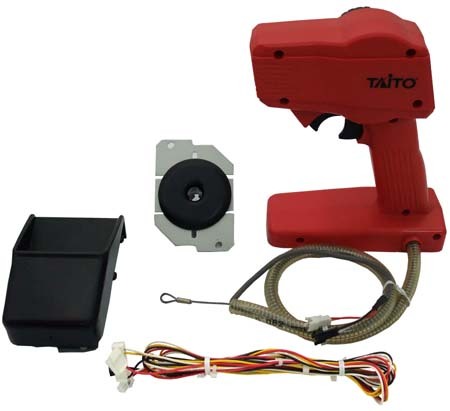 Taito uses their own BIOS for the G-Net version of the ZN-2, therefore called COH-3002T instead of the original COH-3000. 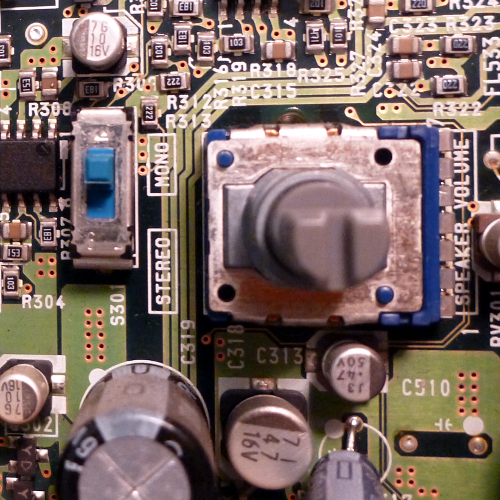 Close to the JAMMA edge on the ZN-2 board you will find the switch for choosing between mono and stereo along with a knob for the volume. To the the right of the JAMMA edge there is six connectors; one each for a third and a fourth player, video, speaker, track ball and a connector for analog controllers such as the driving controllers for ＲＣでＧＯ！. I’m actually not sure if any of the G-Net games uses the track ball. Remember that the ZN-2 board is used for other systems as well as the G-Net. The FC PCB connects to the ZN-2 and contains the sound hardware and the flashROMs for storing the game data from the PCMCIA card. When powered up, the system checks for a PCMCIA II card. If the game data on the card matches the contents of the flashROMs the game boots immediately without delay. If not, the flashROMs are re-flashed with some of the game data from the card. This takes about 2 – 3 minutes after which the game resets and boots up. If no card is present on start up the Taito G-Net logo is displayed along with a “SYSTEM ERROR” message. The CD PCB connects to the FC PCB and consists of a PCMCIA card connector. 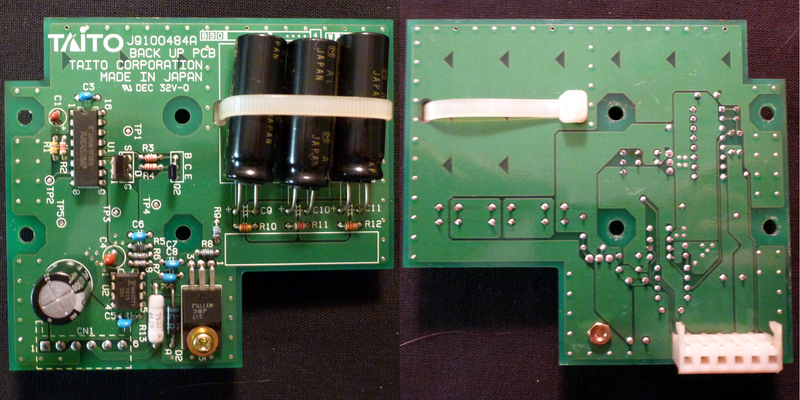 The communications board sits on top of the FC PCB and connects two or more units for simultaneous game play. Up to four units can be connected simultaneously. The units are connected in daisy chain from port 1 on one unit to port 2 on the next unit and so on. On the first and the last unit in the chain the terminator need to be set to on. On the rest of the units switch it off. Set the unit id using the knob in the center of the board. Number them in the order they appear in the chain. The plugs are not Ethernet (RJ-45) plugs but RJ-11 plugs, commonly used for phones, with only two wires on positions 3 and 4. I don’t know if they’re supposed to be straight or crossed. The Back Up PCB connects to the FC PCB. Unfortunately I don’t have any substantial information about the back up board. Please drop me a comment or tweet if you have any info on the Back Up board. Thx in advance. Memory Bus Bandwidth 132 MB/sec. The speaker output is amplified, hence no GND is used. The video connector connects an external 15 kHz monitor. I haven’t had the chance to verify the info on the video connector.